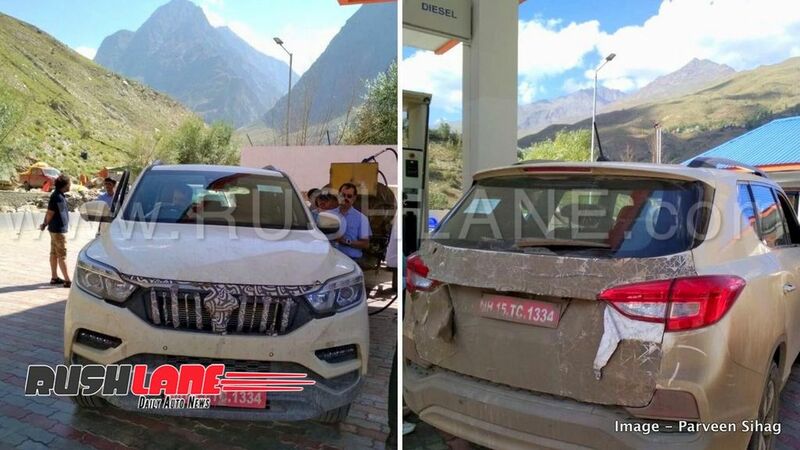 Mahindra XUV700 will be based on the SsangYong Rexton with launch in India in early 2019. Hat tip to automotive enthusiast Parveen Sihag for sharing these spy shots. Mahindra showcased the Rexton based XUV700 SUV at 2018 Auto Expo earlier this year. With launch date scheduled for early 2019, the company is actively testing the new XUV700 which is slated to come in to rival both the Toyota Fortuner. Mahindra XUV700 for India, is a rebadged SsangYong Rexton sold in the international market. It will be locally manufactured with a powertrain to suit Indian conditions while affordable pricing will allow it to gain an edge over its competitors. It has been tested extensively in Indian road conditions, including at the high altitude of Leh, Ladakh. The 7 seater Mahindra XUV700 will measure 4,850mm in length, 1,960mm in width and 1,825mm in height. It will be positioned on a ladder frame chassis which the company claims will be stiffer and lighter with use of high strength steel in its construction. 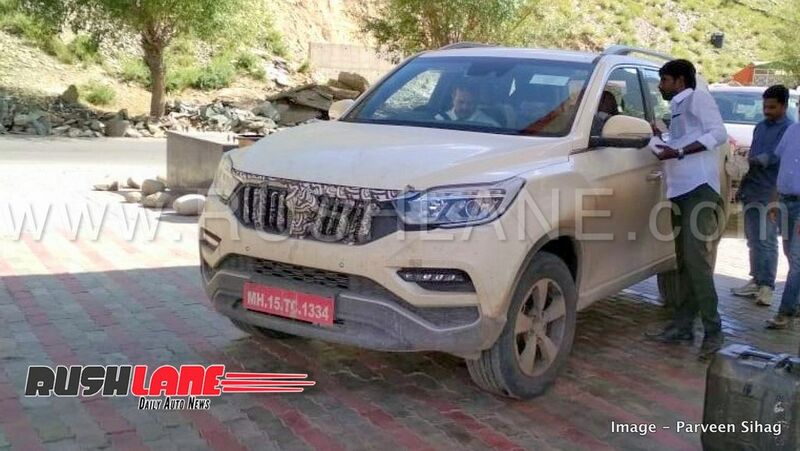 It will get a rugged stance with LED head and tail lamps with DRLs, a prominent front grille, alloy wheels in massive wheel arches and wide tyres. 2018 Mahindra XUV700’s spacious interiors will get a host of comfort and safety features which will include electrically operated seats with Nappa leather upholstery, ambient lighting, dual zone climate controls, a 9.2” touchscreen infotainment system with Apple CarPlay, Android Auto and Wi-Fi support along with 10.1” screens for passengers at the rear. For safety, it receives a total of 9 airbags (best in class), ABS and EBD as standard and other safety features such as electronic stability control, advanced emergency braking and active roll over protection. On launch, Mahindra XUV700 will be powered by a 2.2 liter, 4 cylinder, turbocharged diesel engine capable of 180 bhp power and 400 Nm torque. A 2.0 liter petrol engine offering 225 bhp power and 250 Nm torque will be offered at a later stage. Both engines get mated to 6 speed manual and automatic transmission options. It will come in 2WD as well as 4WD. Set to compete with Toyota Fortuner and recently launched Mitsubishi Pajero Sport, prices of Mahindra XUV700 could range between Rs 20-25 lakhs.